Here is a little YouTube and Google tip to help you get your videos listed in Google search results very quickly. The credit for this goes to John Schwartz. Using this tip John got 25,000 hits to his Article Video. This tip works best with low to medium competition long tail keywords. It is a lot easier to get your videos ranked this way compared to an article or webpage for the same keyphrase because the number of competing videos is always lesser than the number of articles and blog posts for any keyphrase. Did you know that video thumbnails generate 41% higher CTR? Heat map: The above image shows where visitors are clicking. How to use this YouTube tip? So basically when you do a Google search, at the bottom of the search results page, you will find a list of about 8 related keywords or alternate keywords. The thing to notice here is that Google will highlight certain words in these related search phrases. These are not in your original search but Google does find these terms highly relevant to your original search phrase. So all we have to do is copy-paste these highlighted words from Google into the tags field of our YouTube video and that's it! Within a couple of days you should start seeing your video in the search results page. One thing I would like to point out here though is that your video must be relevant to the keyphrase you are targeting and must already be showing up in Youtube search for that keyphrase. 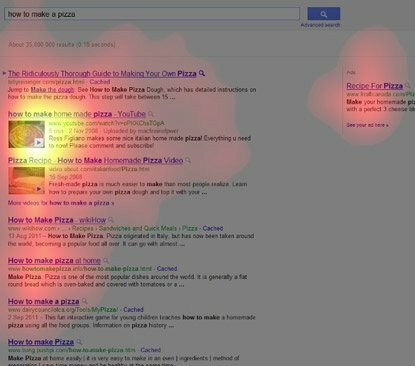 This tip is basically just the edge to make your video climb into the Google search results. Hope you find this tip useful :) Please leave a comment below. I would also love to answer any questions you have. “thanks everyone for the feedback. “"must already be showing up in Youtube search for that keyphrase"
1,029,326+ marketing videos created by 114,691 article marketers From top Internet Marketers to small business owners, everyone uses and recommends Article Video Robot!